A tiny calico kitten was found in someone's backyard in New Jersey. 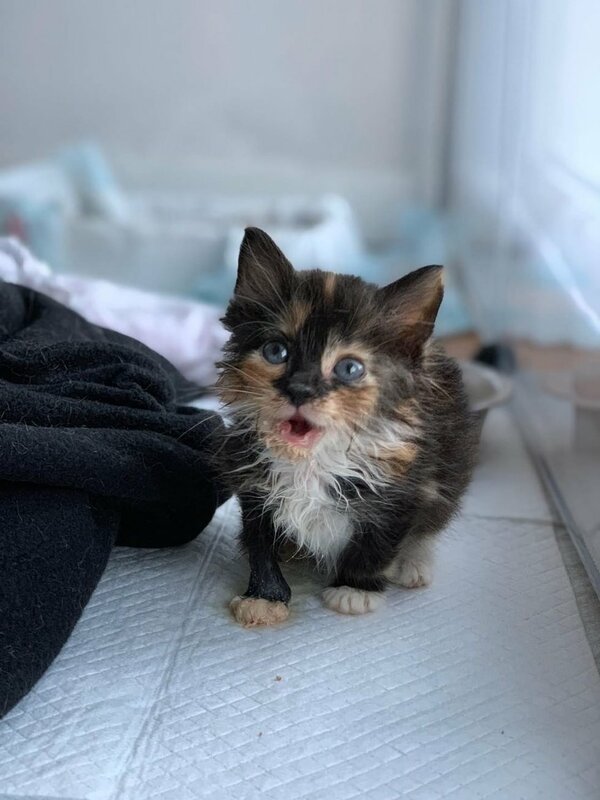 She was meowing non-stop until the homeowner picked her up and brought her inside. The mother cat was nowhere to be found, and the kitten was just skin and bones and shaking from the cold. 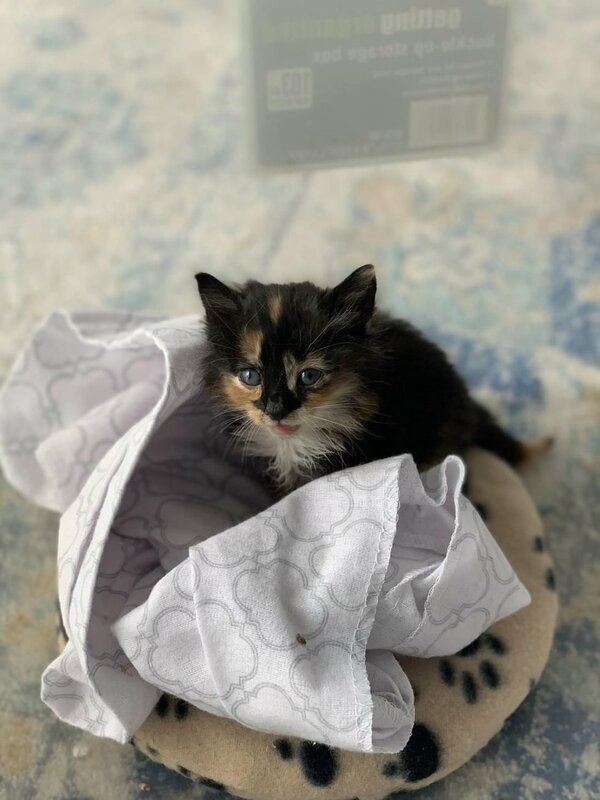 They posted about the kitten to a cat/kitten fostering network, looking for help. Athina, a rescuer based in Jersey City, came across the post. "That morning was one of the first cold mornings this season. The kitten was freezing, and they had to get her temperature back up," Athina told Love Meow. She reached out to Jessica Thoren, who has fostered about 85 kittens for her shelter, and asked if she could help. 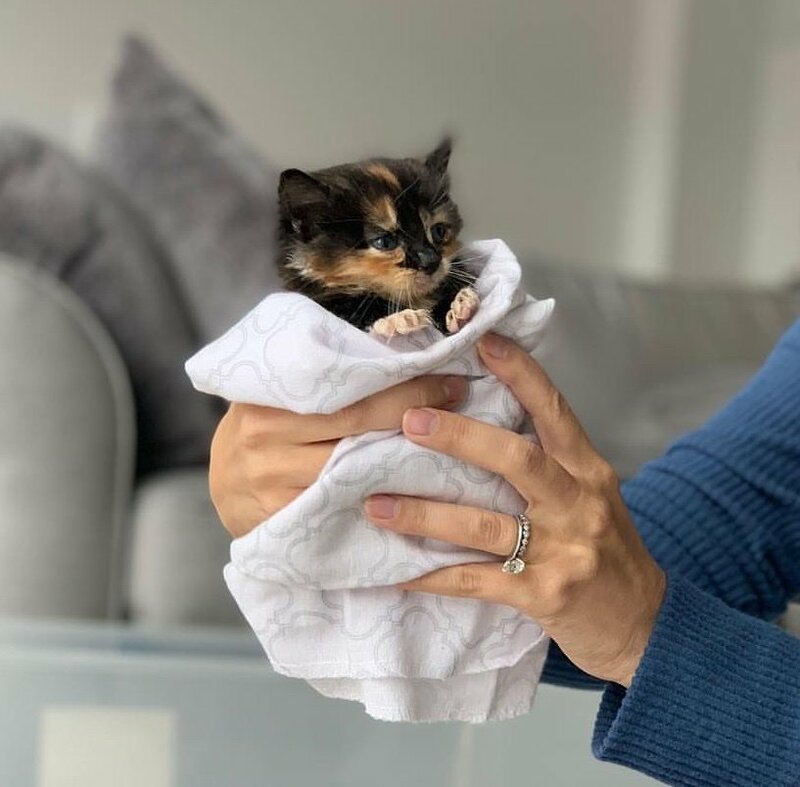 "Without hesitation, the kitten was on her way to her foster home." When they got the kitten, they could feel her bones, so feeding was in order. 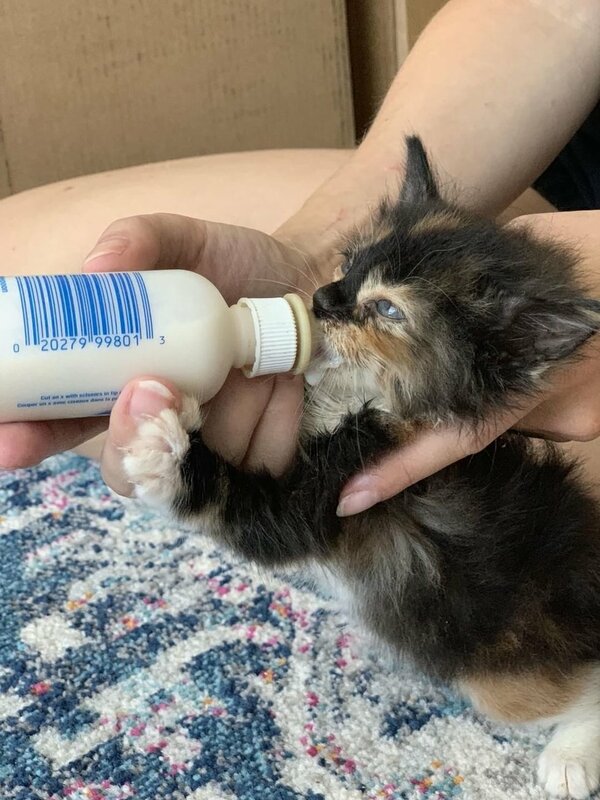 They gave her a bottle and she latched right on and didn't waste a drop of food. "She was starving. Once she was fed, we found some fleas on her, which could cause anemia," Athina said. 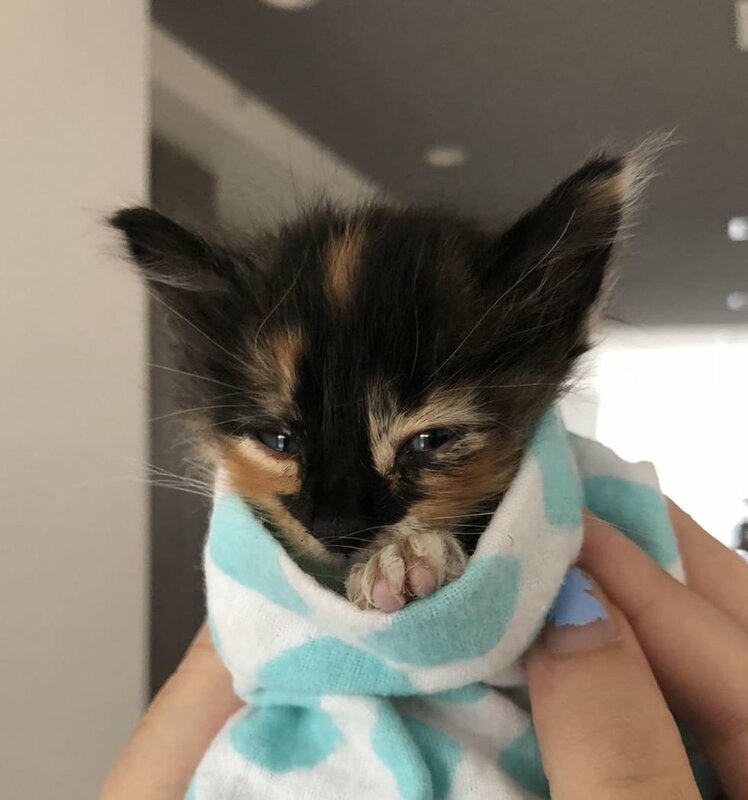 They gave her a bath to clean off all the fleas and kept her warm with plenty of blankets, a warm bed, and a heating pad. 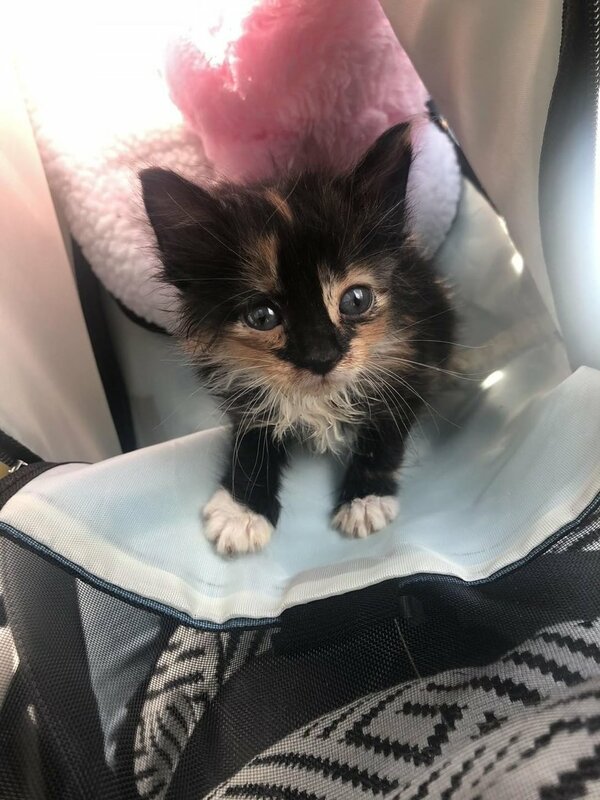 "Her name is Arrow because of the arrow on her face." 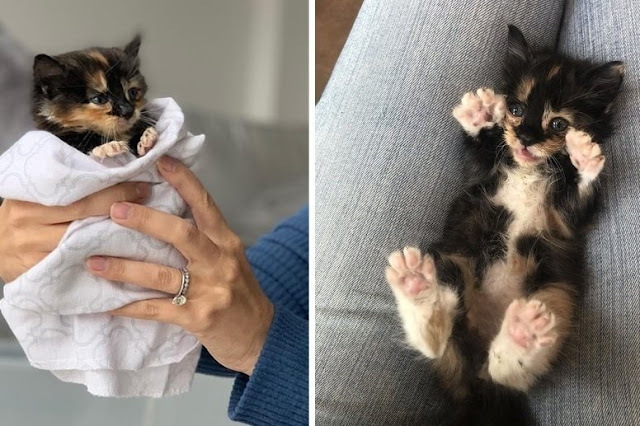 "When she came to me, she weighed about the size of a 2-week-old, even though she was about four weeks," Jessica told Love Meow. "She was so skinny at only 200 grams. Since she was so underweight, I had to feed her every 2-3 hours." 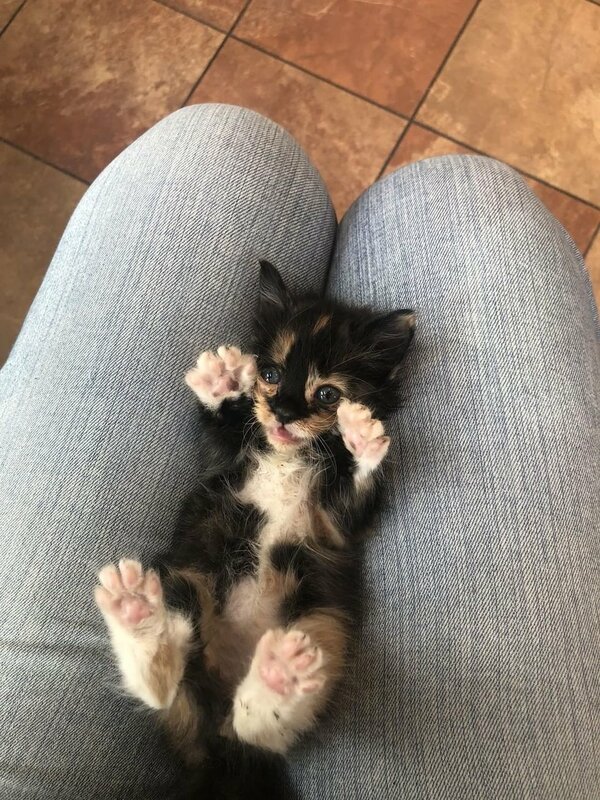 The little calico began to thrive. Arrow has gained a significant amount of weight in just a week and a half. "She is very talkative too and tells me when she wants something," Jessica added. Arrow lives up to her coloring and is very feisty and determined. "She's very adventurous and has tried to escape her enclosure numerous times, and finally she figured it out by using her stuffed animal to stand on and escaped so she got upgraded to a bigger pen," Jessica said. She loves exploring and running around in her playpen. "When she tires herself out, she likes to perch on my shoulder," Jessica said. Despite being tiny, she has quite the cattitude. If she demands something (by meowing loudly), she wouldn't take no for an answer. 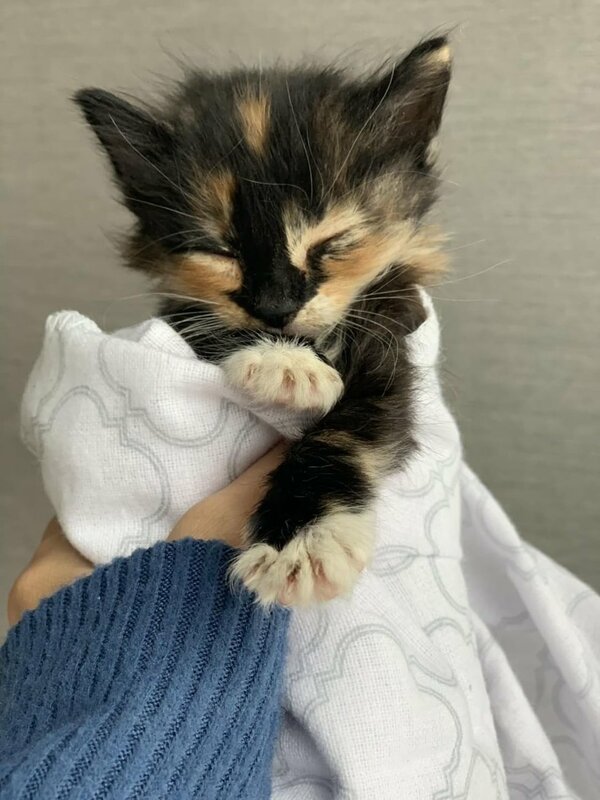 The little kitten who was found crying alone in the backyard, now has good food, warm beds and a foster family to snuggle with.